School is just around the corner! Arapahoe Libraries wants to make sure you have every resource you need to succeed in school this year. Need research databases to boost your citation list? Need citations made for you? Do you need a book, like, right now, but can't get your hands on it? We can help you with all of that! Citations intimidating? Have no fear! All of these databases will make them for you! All you need to do is copy and paste. Want to save articles to look at later? Create an account! Biography in Context: Need information on a famous person living or dead? This database combines information all in one place. Explora has articles, information, pictures, and multimedia for topics in almost every subject area. Gale Virtual Reference Library is an online collection of reference books including encyclopedias, histories, biographies and more. Is the library book you need tonight already checked out? Check out their website to check out a digital copy immediately. There's also an app! History Reference Center is the world's most extensive reference database for history, gathering information from reference books, encyclopedias and nonfiction books. There;s also an app! Opposing Viewpoints in Context supports all subjects to inform you of differing views about a multitude of different topics. An Android app is available. Scholastic GO! has articles, information, pictures, and multimedia for topics in almost every subject area. Teen Health & Wellness gives your straightforward information on topics such as drugs, alcohol, mental health, diversity, and more, just right for teens! World Book Online Reference Center: Remember those huge encyclopedias you had to lug around? Now it's all digital and up-to-date! Find articles from major newspapers, graphic and multimedia content and more. Not only do we have fun print books, but we also have downloadable books and audiobooks, so you don't even have to head out of your house into the heat! Abdo Digital Comics: Love comic books? This database has all the Marvel comics you could ever want! OverDrive: This is my favorite--TONS of books and audiobooks to download in a matter of minutes. Once your title is downloaded, you no longer need internet. Libby: This is part of OverDrive, and works in tandem with it, but this is a little simpler and easier to use. You can also listen to your audiobooks on up to 3x speed if you so choose! 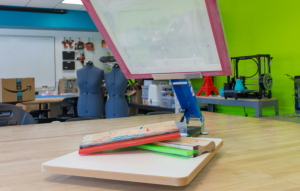 Makerspace: Need a place to create, whether it's sewing, laser cutting, 3D printing, screen printing and more? 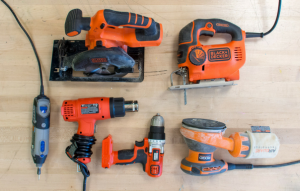 Take some time in your Makerspace to create some great things for school projects or just for fun! Studio: Need to record music or video for a school project? 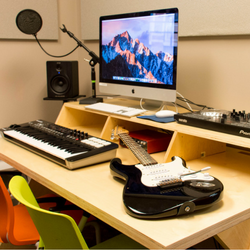 Come use a soundproofed studio to record and edit your projects in one place! 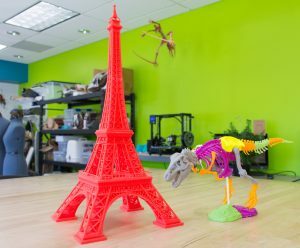 Makerspace programs of all kinds!